In this week's Abundance Insider: Raptor-like household robots, salt-sized 3D printed cameras, and the next generation of AI fighter pilots. What it is: Boston Dynamics has just released video of its latest robot, Mini Spot, performing a variety of household tasks with ease: loading wine glasses into a dishwasher, climbing stairs and navigating around objects in a room. The video comes at an ideal time, as Toyota is reportedly in talks to acquire Boston Dynamics from Google. The Toyota Research Institute, a research arm of Toyota, is currently working on elder care robots. What it is: Engineers at the University of Stuttgart in Germany have developed a 3D printed, three-lens camera small enough to fit inside a syringe. Their unique production method has sub-micrometer accuracy and is the first that can 3D print optical lens systems with two or more lenses. The compound lens is only 100 micrometers (0.1 millimeters) wide, and 120 micrometers with casing. What it is: A University of Cincinatti doctoral graduate has developed an artificial intelligence system called ALPHA that can outperform U.S. expert tacticians -- and other AI opponents -- in simulated aerial combat. Retired U.S. Air Force Colonel Gene Lee, who has been testing AI simulators since the 80s, called it "the most aggressive, responsive, dynamic and credible AI I've seen to date." The research team reports that ALPHA repeatedly beats human experts in flight simulators -- even when its speed, sensors, missile capability and turning are deliberately handicapped. What it is: At Summer Davos, the World Economic Forum's global meeting on innovation, science and technology held in Tianjin, Uber CEO Travis Kalanick aditted that China has been the easiest country to do business in, and could rival Silicon Valley in as little as five years. "We had regulatory resistance in over 70 countries around the world... 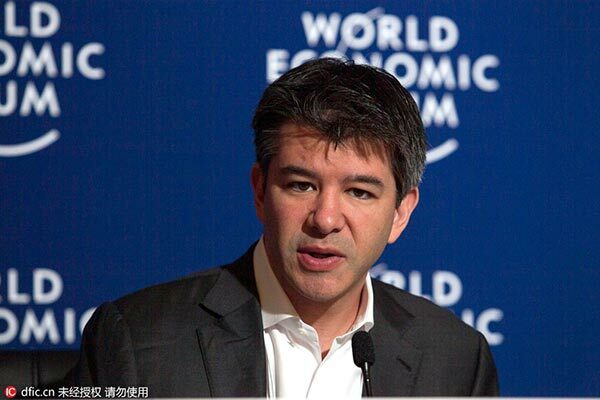 When people asked what places have been easiest to do business, I surprise them by saying China," said Kalanick. Speaking of the government's Internet Plus initiative, which aims to deploy the tech sector into the more traditional areas of its economy, Kalanick added: "That embracement of innovation on the ground is resulting in an entrepreneurial ecosystem, especially in Beijing [a place] that I think ultimately rivals Silicon Valley in five years." What it is: The Solar Impulse 2 recently completed the world's first solar-powered crossing of the Atlantic, landing in Seville after 4,200 miles and close to 3 days of straight flying time. The 100% solar-powered plane has massive 72-meter wings -- longer than a 747 -- covered with 270 square meters of photovoltaic cells. During the day, the cells power four 14kW (17.4hp) electric motors and charge four 41kWh lithium-ion batteries. When it's dark, the motors run on the batteries. Seville to Abu Dhabi is the final leg needed for the Solar Impulse 2 to circumnavigate the globe. What it is: Anki engineers have created a playful AI-powered robot named Cozmo with a charming personality inspired by robots in animated films like Pixar's Wall-E. The palm-sized toy contains 300+ individual pieces that combine robotics, artificial intelligence and computer vision, which give it the capability to process more data per second than all the Mars Rovers combined. Cozmo interacts with its environment in organic (albeit unpredictable) ways, which gives it a virtually endless repertoire. It recognizes faces, plays games and stacks blocks, and will debut in the U.S. in October for $180. What it is: A new VR productivity app called Space, developed by the Shanghai-based firm Pygmal Technologies, pairs with HTC Vive or Oculus Rift to digitize your physical monitors in a virtual environment. In this beta version, up to six giant monitors float in front of the headset at a time, and the user can multitask between apps and windows by looking around or pulling browser windows into view. What it is: If you're one of the millions of people around the world who have consulted "Dr. Google" for health symptoms, the quality of your research results is about to improve. Google enlisted a team of doctors and medical experts at the Mayo Clinic and Harvard Medical School to, as Stat reports, "evaluate medical conditions based on a representative sample of searches." An algorithm that incorporates those evaluations, and the experts' suggested courses of action for each, will make it into U.S. search results for testing this week. What it is: One month ago, citizens in Austin, Texas voted to force all drivers who work for a ridesharing company to pass a fingerprint-based background check. In response, Uber and Lyft decided to cease operation in Austin as of May 9, and this Vocativ article outlines the unusual aftermath as citizens and displaced drivers alike pick up the pieces: peer-to-peer "Request a Ride" Facebook groups, decreased bar sales, increased DUI and DWI arrests, and the challenges that new ridesharing apps are having in in onboarding drivers.